This almost looked like that conical christmas tree when i bought it, as it was tall, and the widest at the bottom, and sharp end-of-triangle shape at the top(pointed). But, when moving/pushing the branches downward I felt its just like a normal tree with needly leaves as that conical appearance was because of all the branches growing upwards though straight branched. When I looked at it from all directions, I felt it was too tall already, and I did not want a christmas tree cone shape, but instead a normal trunk + umbrella-leaves appearance. And, well, I sawed off the top to remove the cone shape. Sawed it off just above one branch. The most notable thing was that the leaves have a good smell You don't have to crush or pinch the leaf, just going near the plant lets you know of the smell. But, pinched, the smell intensifies. As it had the 'Thuja' in the name, I searched for both occidentalis, and orientalis, and it doesnt look like it. The typical thuja plants had a leaf that has no needles, but almost like the scales of a fish. The newer leaves coming from under the previous leaf. And no long needle like structure. Thank you 0soyoung for the identification. I just checked out several images of the cryptomeria japonica, and it does look really similar to mine. But, when I checked for 'Cryptomeria Japonica Bonsai', the images are of trees with branches where the foliage is only on the top pointed upwards towards the sky. Is that the effect of cutting off all the 'sub-branches' that grow downwards? Sub branches as in, smaller branches on a branch. 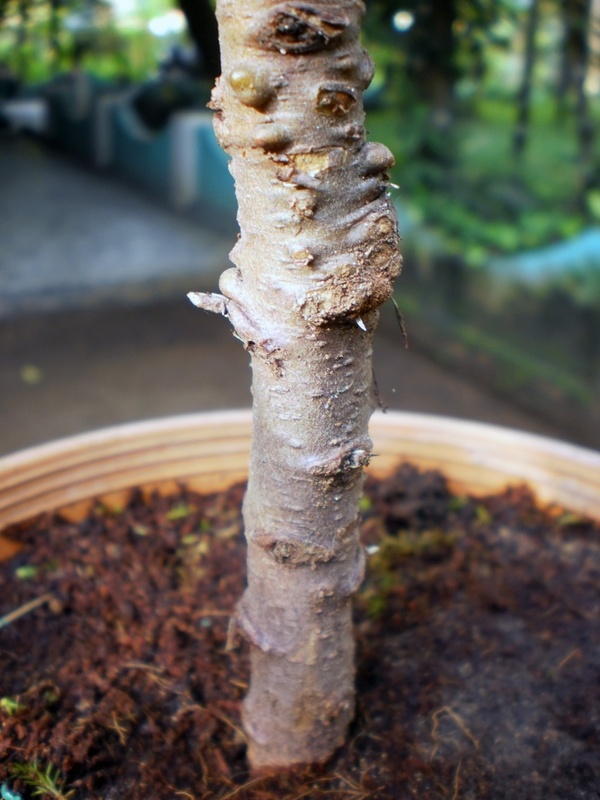 yes the pads on bonsai are flatter with upward growth because of wiring and pruning to make the initial shape and pinching back of upper shoots to keep the pads shaped and 'tight'. Eventually the pads get too dense and you need to thin them out a bit to let light in and air to circulate better. My plant looks really young, though was unacceptably tall, compared to the bonsai cryptomerias I see with an image search. Does that mean what you suggested should be attempted after quite some time of active growth? Do conifers grow or respond positively to a trunk chop? Can cryptomerias have those wicked twist and turns on their trunks like junipers? If yes, are they really bent manually into that shape, or obtained naturally from the wild?